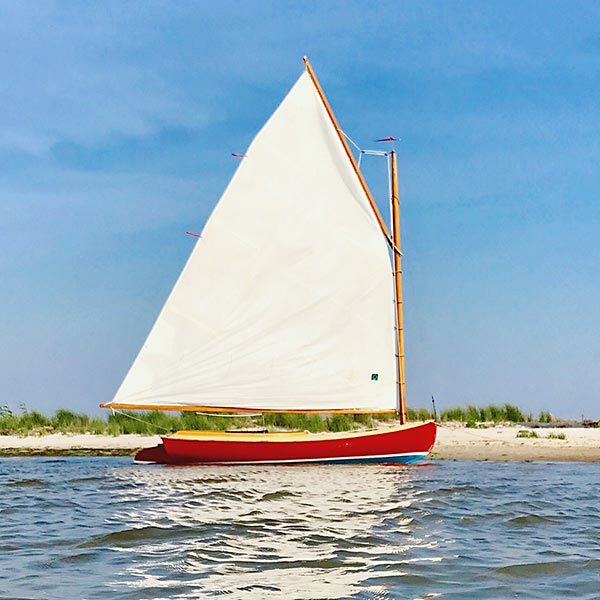 The only totally "true" fiberglass reproduction of the original wooden catboat designed by Carl Beetle in 1921, the Barnstable Cat Boat looks and sails exactly like the wooden version. 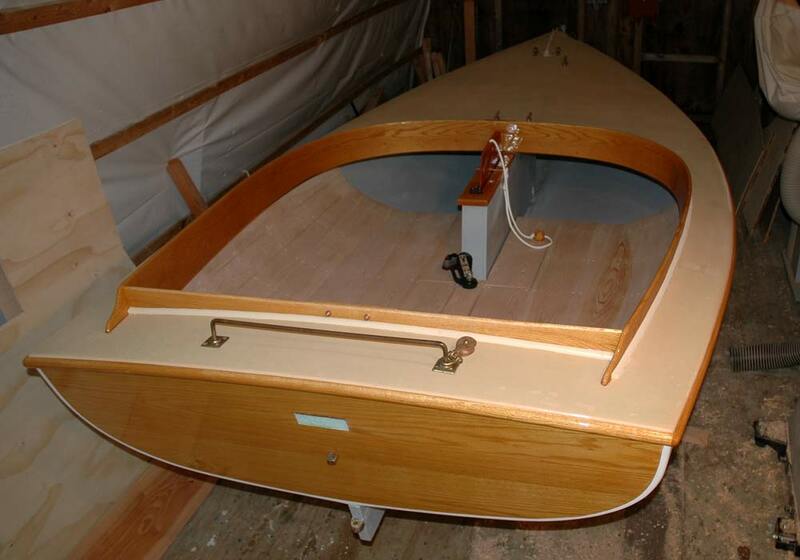 The only difference between a wooden boat and the Barnstable Cat Boat is a fiberglass hull and deck. Appearance-wise one cannot tell the difference -- right down to the deck texture which you'll swear is canvas! 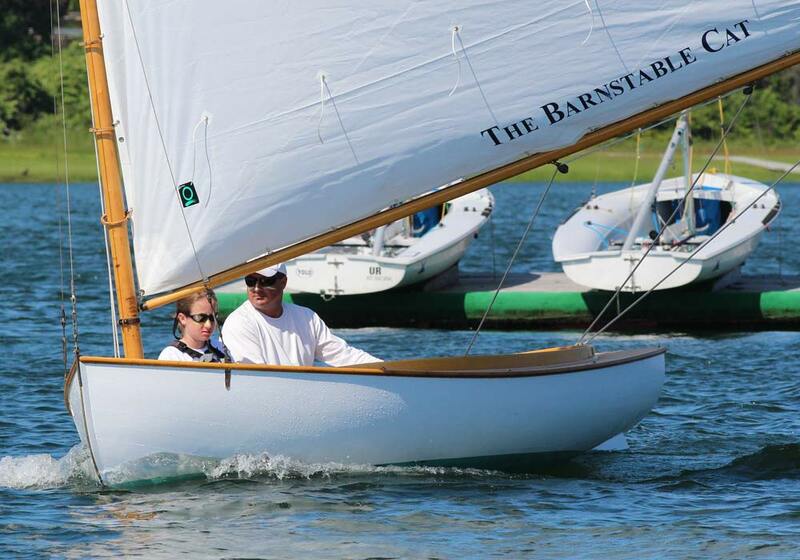 Performance-wise, the two boats race together equally in many fleets in New England. 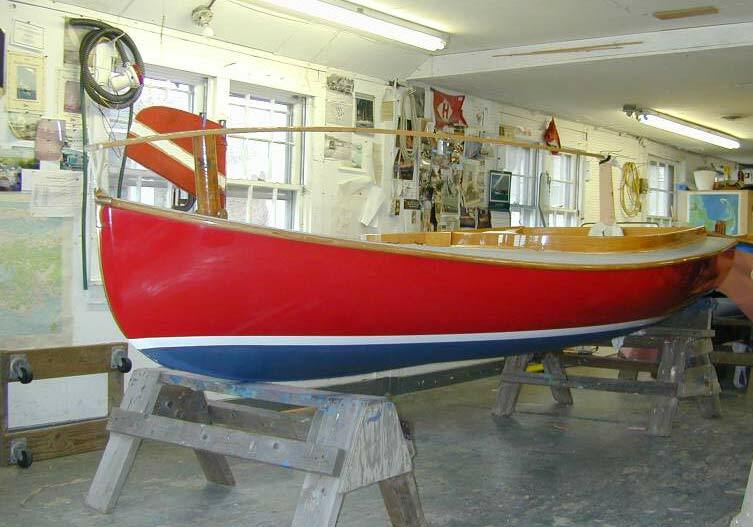 Our goal has always been to have the Barnstable Cat Boat be virtually identical to its wooden predecessor for those people who would like to have a traditional wooden boat, but prefer the ease and lower maintenance costs of a fiberglass boat. 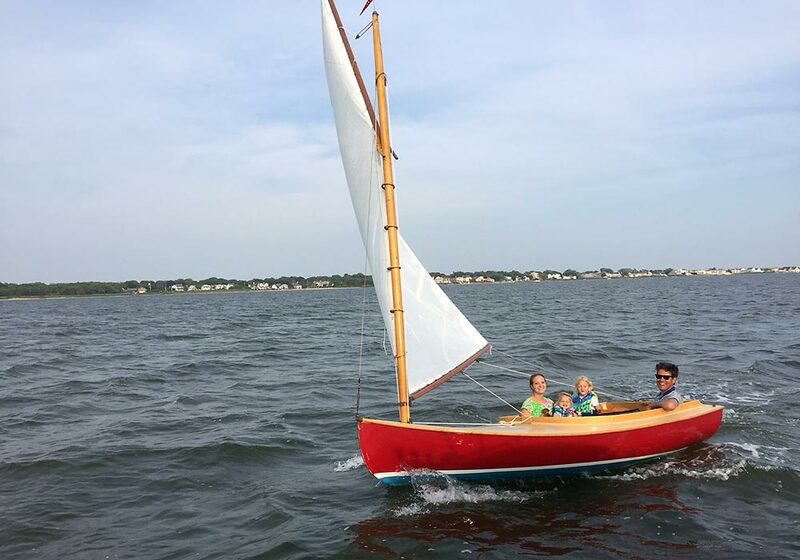 We pride ourselves on the quality of our boats -- hand-laid and cored fiberglass hull and deck, deck texture of real canvas (like the wooden version), cedar cockpit, oak coamings and chafing strip, fir spars, original bronze hardware -- they are a true classic. 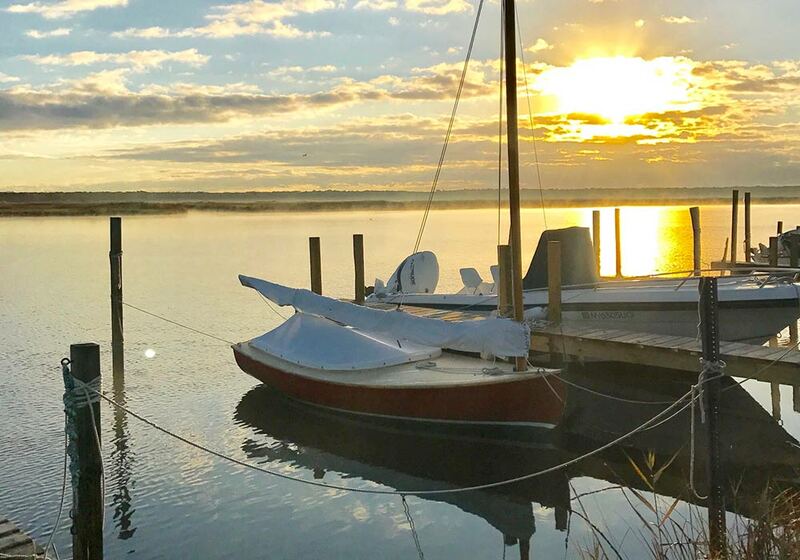 Because of our high quality and low production volume, combined with ongoing demand, Barnstable Cat Boats have great resale values. 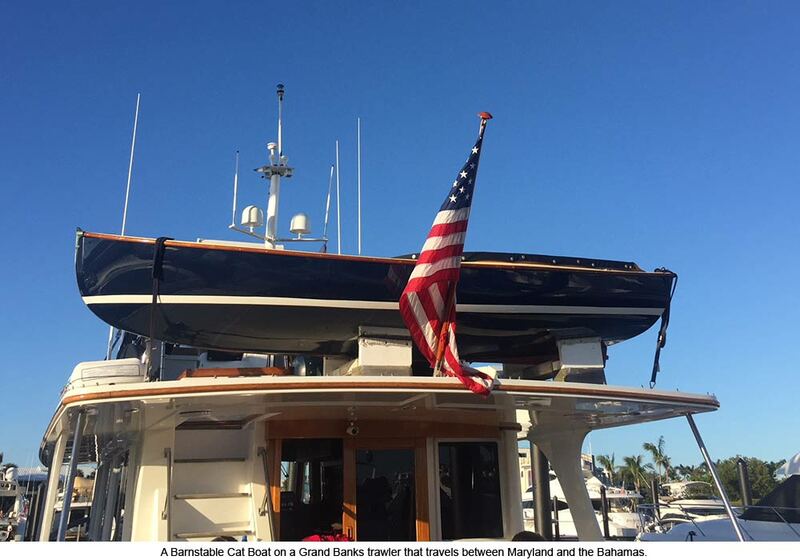 In fact, many well-maintained boats have sold for more than they were when new. 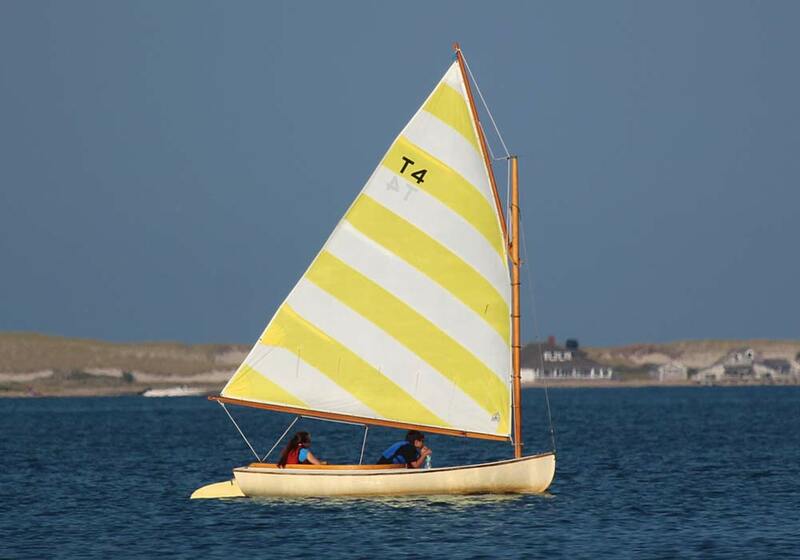 Sailaway Priced at $16,995 with Trailer, Sail, Anchor, Paddle and Pump. Please contact us for a full price list to learn about Optional Items. 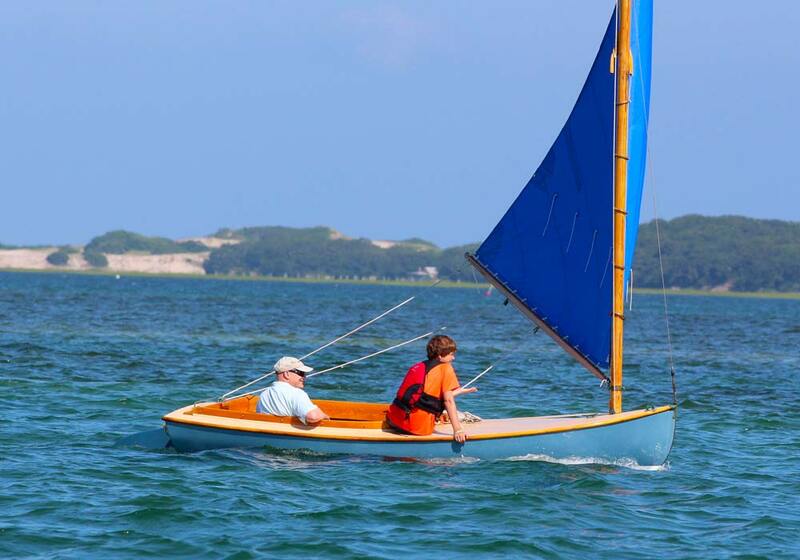 Learn how to rig a Barnstable Cat -- Watch this video!